Plavix (Clopidogrel) is a blood thinner used for the prevention of conditions caused by blood clots such as heart attack and stroke. Plavix is an oral medication available by prescription. You may need to take it if you have already had a medical problem associated with blood clots or if you are at risk of developing any of these conditions. If you have risk factors that make you more likely to develop blood clots, your doctor might start you on a prescription for Plavix. When used regularly according to the prescription, this medication is expected to reduce your risk of having a heart attack or a stroke. Plavix is approved for multiple different conditions. Probably one of the most common uses of clopidogrel is for post-stent therapy. After the insertion of a stent (a tube inserted into an artery to support blood flow), Plavix might be prescribed in order to prevent stent thrombosis and other related complications after the procedure. ACS is a condition in which blood flow in the coronary arteries (blood vessels that supply the heart muscles) becomes blocked. ACS includes myocardial infarction (MI) and angina (chest pain). If you have had a myocardial infarction (MI), also described as a heart attack, your doctor may prescribe Plavix to prevent you from developing additional blood clots in your heart or anywhere else in your body. An MI is a blockage of the coronary arteries, and it usually causes severe chest pain and shortness of breath. These blood vessels deliver blood to the muscles, providing oxygen and nutrients so the heart muscles can contract in a regular rhythm. If you had an MI, this means that your heart muscles may have become damaged due to a lack of blood supply. Ultimately, the result is dysfunctional pumping of the heart, which can deprive the body of efficient blood delivery. If you have had one or more episodes of chest pain due to coronary artery blockage, this is described as angina—it can usually means that your heart muscles have been deprived of oxygen for a period of time. An MI is almost always accompanied by angina, but sometimes, you can experience a brief reversible episode of angina without having permanent heart damage. This type of chest pain is a serious warning that you are at risk of having a heart attack. A stroke is brain damage caused by diminished blood supply to a region of the brain. It can cause symptoms such as weakness, vision changes, or trouble with speech. If you have developed atherosclerosis in the blood vessels in your feet, legs, or hands, you may have symptoms of pain or numbness, and your doctor may detect weak pulses in your physical examination. If you have had a recent heart attack, stroke, or peripheral arterial disease, you may be at risk of having blood clots that could cause a heart attack, another stroke, or sudden blockage of the blood vessels in your arms, legs, or intestines. For this reason, your doctor may prescribe Plavix for you. Keep in mind that you could be at risk of developing blood clots even if you don’t have the exact indications described. If Plavix is the best option for protecting you against blood clots, your doctor may prescribe it off label, without a formally approved FDA indication. If you take a medication off-label, be sure to take it as prescribed, and be aware that the side effects and drug interactions described for the indicated uses still apply to you. Plavix comes in two strengths, a 75 milligram (mg) pill and a 300 mg pill. It is taken as a once-daily pill at 75 mg. Plavix is produced and marketed by Sanofi, a French multinational pharmaceutical company. There are also generic versions of Clopidogrel that are available in the United States and several other countries. In some circumstances, such as in the case of angina or a heart attack, you may be given a loading dose before you take your regular daily Plavix. The loading dose is a one-time 300 mg pill, which helps initiate the anti-blood-clotting effects of Plavix sooner. Plavix prevents platelets from sticking together. Platelets are small particles in your blood that aggregate and stick together to form a blood clot, typically to protect you from excessive bleeding when you have an injury inside or outside your body. Plavix carries out its antiplatelet action by binding to the surface of platelets and deactivating their ability to clump together. While you may be given a prescription for Plavix to prevent unwanted blood clots, the medication can also cause excessive bleeding— which is its most common side effect. 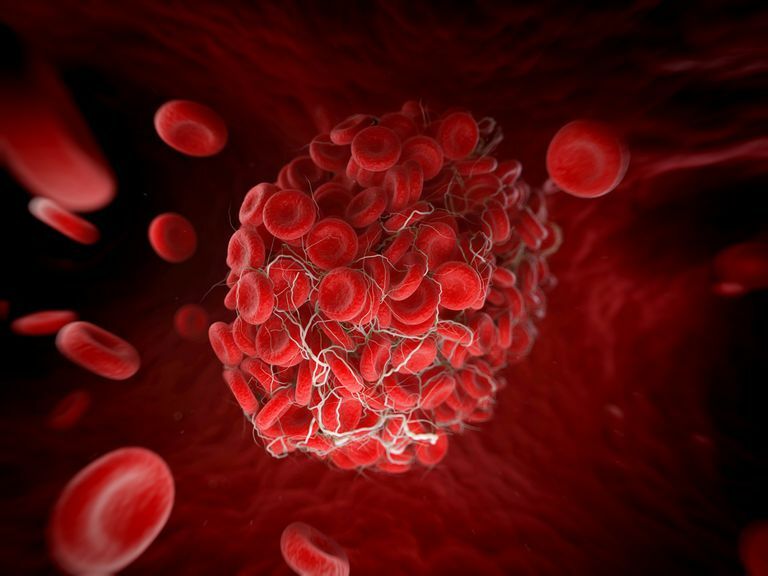 It is important for you to know that while Plavix is one of many blood thinners used to prevent blood clots, the different blood thinners don’t all work in the same way. Your doctor may choose one blood thinner instead of another due to their different mechanisms of action and varying effects on the body. For example, another blood thinner called heparin is used intravenously (IV). It has a faster onset of action as well as a shorter duration of action than Plavix. Heparin is often used in emergency situations such as during a heart attack or stroke. Aspirin, which interferes with enzymes that promote blood-clotting, is another commonly used oral blood thinner. Your doctor may prescribe both Plavix and aspirin for you at the same time. While they are both blood thinners, they work in different ways, and their additive effect can be beneficial in some circumstances. There are a number of side effects that you may experience if you use Plavix. Excessive bleeding, the most common side effect, can occur virtually anywhere in the body. Prolonged bleeding after a cut. Bruising, even after a mild bump. Stomach and/or intestinal bleeding, or an ulcer. Hemorrhagic stroke (bleeding in the brain). Dark, tarry appearance of stools. Additionally, a hemorrhagic stroke can produce even further symptoms including an unexpected, sudden, or unusual headache, vision changes, seizures, weakness or numbness of the face, arm, or leg, the inability to speak or to understand language, and general confusion. There are additional risks of taking Plavix. Thrombotic Thrombocytopenic Purpura (TTP). TTP is characterized by blood clots in the small blood vessels of the body, which can be accompanied by anemia (low red blood cell function) and a low platelet count. TTP can develop within a few weeks of using Plavix. The symptoms can include unexplained tiny bruises, pain anywhere in the body, and fevers. It may cause brain or kidney damage, can be life-threatening, and requires urgent treatment, often with a procedure called plasma exchange. Allergic reaction. An allergic reaction to Plavix, which is rare, can cause a rash, itching, and may cause a life-threatening skin reaction called Stevens-Johnson syndrome in which the skin can peel off, almost as if it has been badly burned. Allergies may begin within a few weeks of starting Plavix. Do not use another blood thinner if you are taking Plavix. While it is often used with aspirin, this combination can increase the risk of bleeding, and you should not combine Plavix with another blood thinner unless your doctor recommends this combination for your specific circumstances. Omeprazole or Esomeprazole. Both are used for the treatment of ulcers, heartburn, and gastrointestinal reflux disease. Opioids. These highly addictive medications are used for treatment of pain. Warfarin. This is a blood thinner that interferes with vitamin K (a vitamin that promotes blood-clotting). Antidepressants. This includes serotonin reuptake inhibitors (SSRIs) and serotonin-norepinephrine reuptake inhibitors (SNRIs). Repaglinide. This is a medication used for treatment of type 2 diabetes. Abruptly discontinuing Plavix has been associated with an increased risk of blood clots. If you experience serious side effects, your doctor may have you discontinue Plavix or decrease your dose. There is a withdrawal effect after discontinuing Plavix, so it is not safe for you to suddenly stop taking it without consulting with your doctor. If discontinuing your medication, be sure to consult with your doctor, who might give you a schedule to taper the medication over a period of time. While there are risks to taking Plavix, for people who have certain serious medical conditions there also may be major benefits to using Plavix. Be sure to familiarize yourself with the risks, however, and to learn how to recognize the side effects if you're taking Plavix. In addition to taking Plavix, it is vitally important that you try to reduce your risk of heart disease, stroke, and vascular disease. Strategies for reducing your risk include maintaining optimal blood pressure, aiming to attain your target blood sugar, and keeping your cholesterol and triglyceride levels low. These targets can be attained through a combination of diet, exercise, and medication.